Ichigaku was born in Shinooka Village of Aichi Prefecture in the 10th year of the Meiji era (1877). His real given name was Kinjiro. First, he became a disciple of Okumura Sekiran. 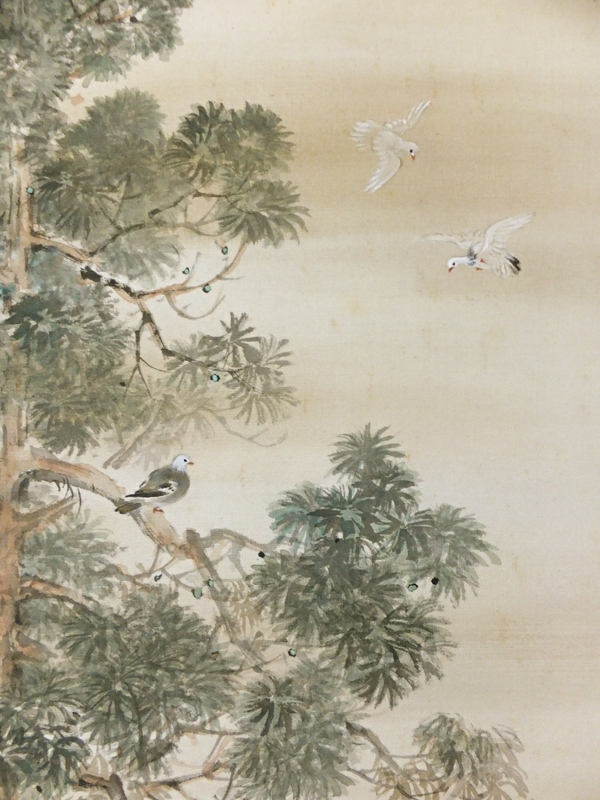 After Sekiran's death, Ichigaku studied Japanese-style painting under Washimi Shungaku, Oda Kyosai and Kodera Unto. 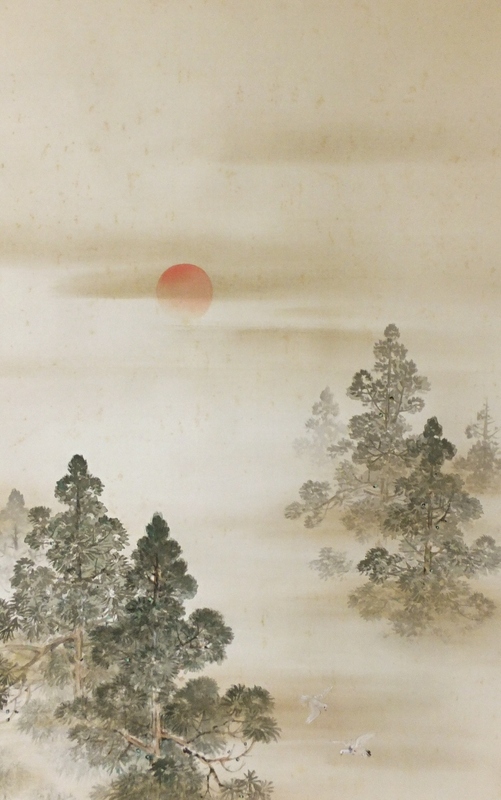 Ichigaku acquired the painting styles of the Tosa and Shijo Schools. As a result, he was accepted for many exhibitions beginning with the Naikoku Hakuran-Kai Exhibition. 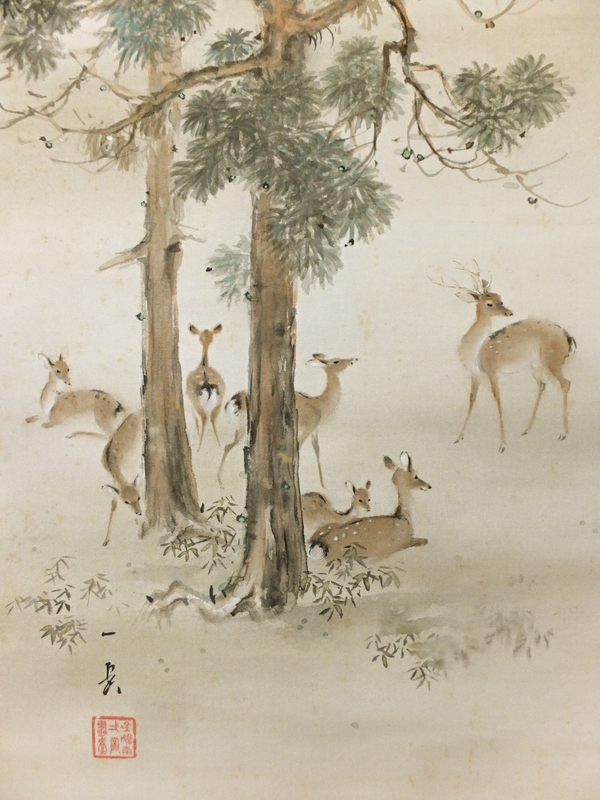 He was good at painting deers. Ichigaku deceased in the 32nd year of the Showa era (1957). This is rather long scroll. It might have been re-mounted. 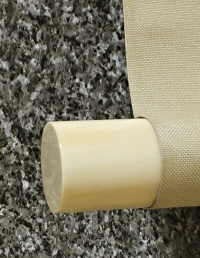 There are faint spots to some extent on the painting part. As a whole, the condition of this scroll is not bad. 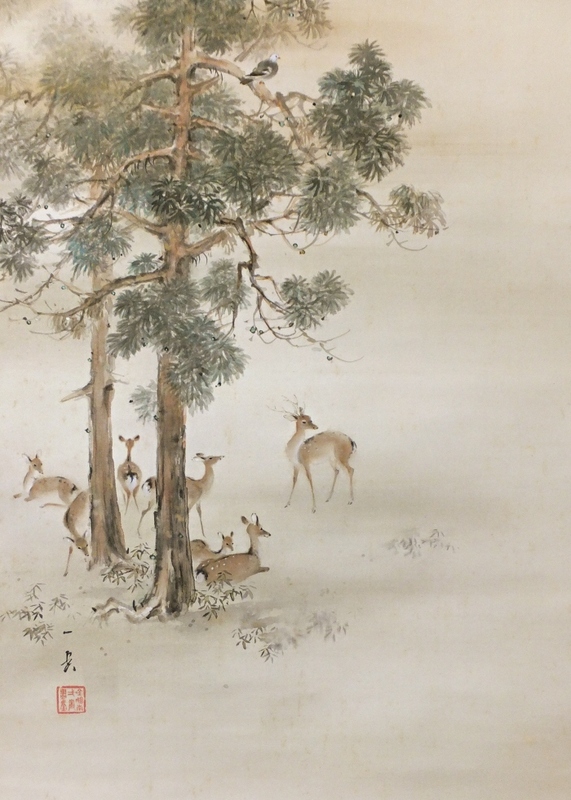 The sun, tree, birds and deers are painted tastefully.